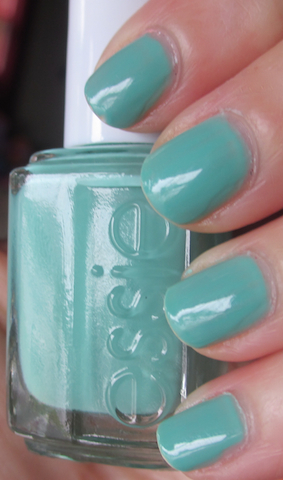 Essie Turquoise & Caicos is a "must have" in the turquoise/mint/greenish color family. I actually prefer this over Mint Candy Apple (shown below). Although this is very sheer (this is like 4 of 5 coats...I lost count) it applies easier than Mint Candy Apple. The layers go on more evenly...you just need more of them. This is also a bit more green than lots of the other turquoise/mint colors like For Audrey and Mint Candy Apple. I like how it isn't such an "in your face" turquoise, it's more subtle. It actually has more of a jelly finish since it's so sheer. After wearing it all day, I remember why I liked it so much in the past. I had my doubts as I was applying coat after coat last night! I love this shade of turquoise. I have a L'Oreal similar to this. Very pretty. Which L'Oreal one? Maybe it has a better formula. Wet and Wild MegaLast has a color called "I need a refreshment" in their new line and it is very close (well, it's actually, exactly the same as CG For Audrey. 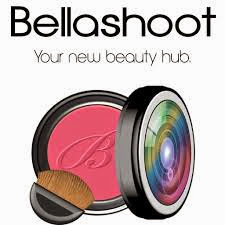 It's a very good dupe great formula and cover in 2 coats.